Another DIY project is in the works! 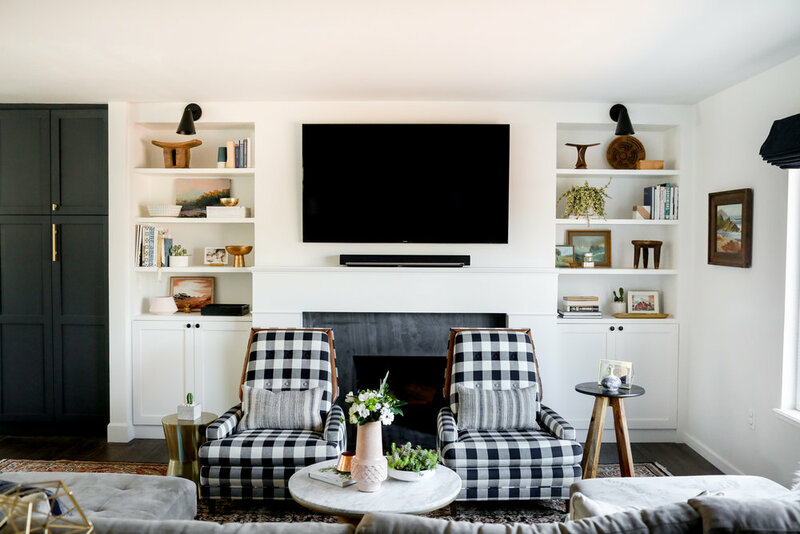 We are planning and designing some custom built ins for both sides of the fireplace in the living room I’m not going to pretend that I have any chill - I just cannot wait to style those shelves! We were shooting to have it done by Christmas, but, after really thinking through what's involved in this build and our busy end of the year calendar, I think this will be our first big project in 2018. Before John and I get started on a project, we sit down together and work through all the details. I show him inspiration photos and point out the things that I like in the photos and things I don't like. We usually negotiate back and forth to come up with a design that we both love. Big house projects can cause a lot of strife between couples so GOOD COMMUNICATION is essential. Then, John designs the project in SolidWorks (perks of being an Engineer) so that we know exactly what materials we will need and the exact measurements for each piece of wood to cut. It's also a good way for us to create a bill of materials so we know what the project will cost. Because, you know, budgets. Gosh, looking back, I'm so glad we decided to get rid of that half wall that separated the living room and kitchen! And, yes, that same old fan is still in our living room (*eye roll*). That's on the to-do list, too. Here are some of the inspiration photos that have caught my eye over the last several weeks of dreaming. John has designed the shelves and cabinets for our space and, my goodness, these are going to be stunning! Naturally, I’m already starting to shop and collect pieces to incorporate in the styling of the shelves including hardware (because, again, no chill). These stunning swing arm light sconces and cabinet pulls will most likely make an appearance on the final product. I cannot wait to get started on this project!! Stay tuned for progress updates and a tutorial to tackle your own DIY built-ins. Here are two versions of the built ins that John has designed. Which version of the shelves do you like? 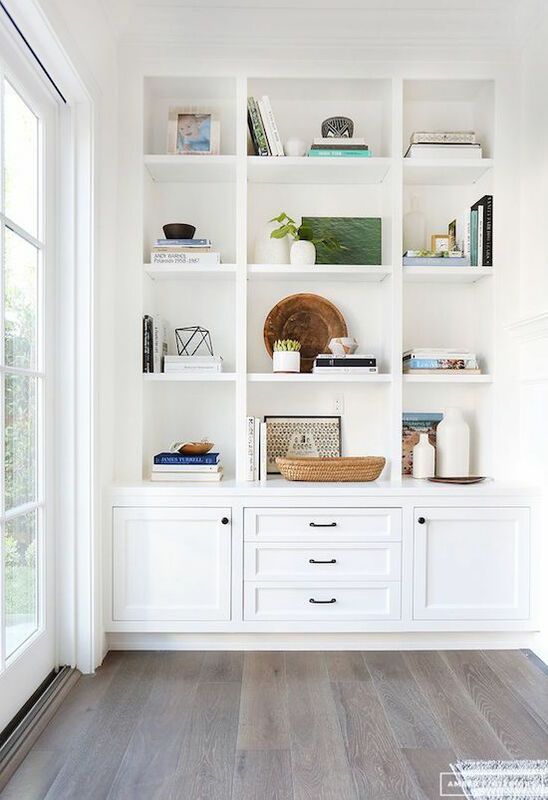 Staggered shelves or symmetrical shelves?